Bristol skate shop Fifty Fifty Store have just dropped their own collection of T-shirts for the Spring/Summer season, featuring some of the baddest photographic prints around and showing just why Bristol are not to be underestimated in the UK street and skate wear game. The first two tees are a collaboration with photographer Marcel Veldman, the man behind Holland’s FLUFF Magazine. The tees feature photographic prints of some fine young ladies who clearly know how to have a good time – naked, with a bottle of champagne in hand – finished with a skate based pun (“Roll Models”) underneath. These tees, in my opinion, couldn’t be any better. 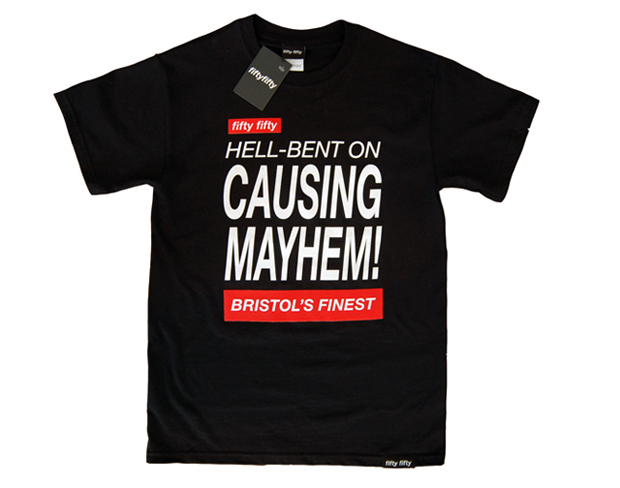 The other two T-shirts are a Big L portrait with a quote from Harlem’s finest lyricist on the reverse, and the “hell bent on causing mayhem” tee, describing just how the Bristol boys like to ‘roll’. 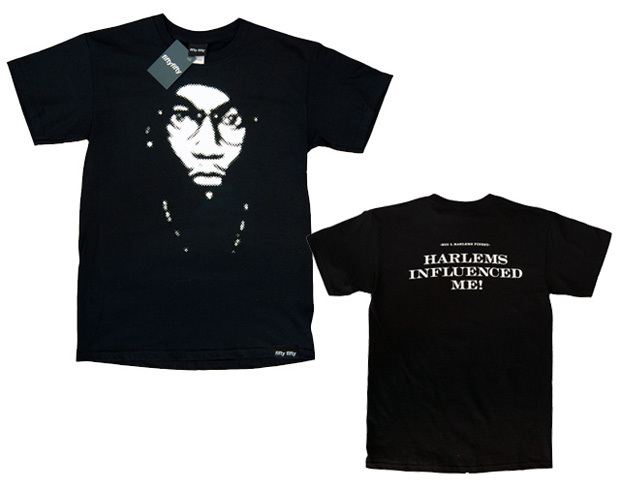 All 4 tees are available online and in-store now form Fifty Fifty. I’m struggling to find a reason why you shouldn’t go buy all 4, now.